After less than a year since we launched APSE, it continues to become clear what you want from a pet sitting association. This redesign is not so much of a redesign as it is a restructure of our content that we have for you. 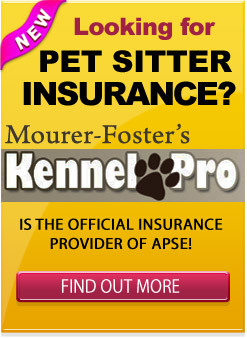 We have now put our focus on providing pet sitters (both members and non-members) freely available content. Content in the form of articles, tutorials, recorded expert interviews, video training and community. Please take a few moments to look around our site. You’ll notice some solid changes. This video is just for you…! Association of Pet Sitting Excellence wishes you and your loved ones a wonderful holiday season and joyous New Year! 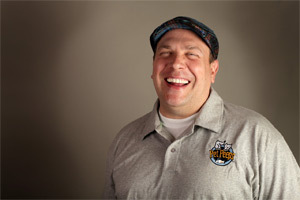 We look forward to continuing to work closely with pet sitters in 2011 to help your business grow. Thanks for being a part of our community – we couldn’t do what we do without you! What one specific thing do you want to accomplish, achieve or focus on in 2011? Here is the replay of the webinar titled: How to Find LOCAL Clients through Social Media without Spending Your Life on Twitter! It was created exclusively for the Association of Pet Sitting Excellence and is presented by social media rockstar Laura Roeder. See What Laura Has To Say! This weekend is Father’s Day and the start of Summer begins on Monday. So we thought what better way to celebrate than to open up the APSE windows, sit on our virtual porch, and let the neighbors hang out with us for the weekend. We are offering the first 50 pet sitters to sign up complimentary access to our Pet Sitter Website School and the Members Forums. Here’s the quick details: The first 50 pet sitters to sign up here: https://www.petsittingexcellence.com/web-school/ will be on the list to experience our stuff beginning this Friday, June 18 through Sunday, June 20. So, you must sign up now to reserve your spot. In either case, tell your friends, post on Facebook, announce on message groups, whatever…! Welcome to our newest feature at the Association of Pet Sitting Excellence – Joshua’s Pet Sitter Website School. 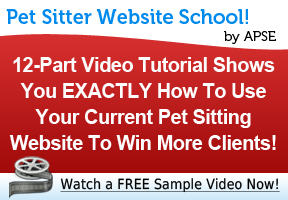 The school is a 12-part video tutorial that walks you through 12 distinct elements of the Alitia’s Animals website – the site to which Joshua and his wife Alitia give credit for the success of their pet sitting business. In each video Joshua explains the importance of each website element and shows you where to find the resources to add these elements to your own site. Take a look at the school details now and listen to Joshua’s Welcome Message and a preview sample of Lesson #5: Header Images. You’ll get a taste of what you’ll find inside the school grounds! Both compliment the School quite well and are filled with specific actions you can take today to improve your website rankings. The 2 reports are yours to keep forever. Last week we released the school to our members and you can see that it was a big hit! Of course if you have any questions – just email us at info@petsittingexcellence.com. We are always here to help and just an email or phone call away! How On Earth Do You Build A Pet Sitting Biz From Scratch to Six Figures in 12 mths? Is it really possible to start from scratch and build a six figure pet sitting business in only 12 mths? It is possible and it has been done! Learn how on our bonus member only tele-seminar on April 27th – 7pm Central time. I’ll be interviewing Josh and Alitia – the owners of Alitia’s Animals NY to find out their secrets of rapid growth and to learn how they now manage their business remotely from Texas. Sign up before April 27th to get the details for the call (the call will also be recorded and be available for all APSE members to download after the call). Join us today and learn the secrets to rapid growth! Welcome to the APSE Pre-Launch! Are you ready to welcome a new generation of pet sitting association? Here at the Association of Pet Sitting Excellence (APSE) we are getting ready to open the doors and start welcoming new members this Thursday April 15th. Today we are unveiling our public website pages so that you can start learning more about our vision and mission, and explore all of the great member benefits you will find in our members area on Thursday. Simply go to visit our main site – https://www.petsittingexcellence.com and you’ll notice all the new pages through the menus in the black header bar. 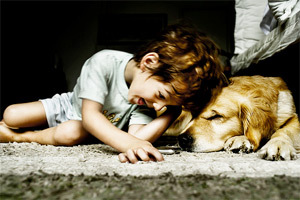 Take a scroll through and discover the heart of your new pet sitting resource. When you arrive at our membership benefits and pricing page you’ll notice that we are celebrating our launch by giving you a special discount when you join before April 30th. If you join in these first two weeks you will save $40 on your annual APSE membership and be part of a very special group – our APSE Charter Members. As one of these action takers you will be recognized with a unique badge to place on your website and a special “Charter Member” banner will be displayed on your pet sitter locator profile. You will forever be seen as our founding members. If you have any questions while you explore our new pages and pricing please let us know by leaving a comment right here on our blog. We’ll get back to you quickly with the answers you need! If you want to send us a question privately you can use our contact page to email us your questions too. We look forward to sharing more about the APSE in the coming days!